This whimsical Cake Topper brings one of Earth's most beloved creatures of flight to life! 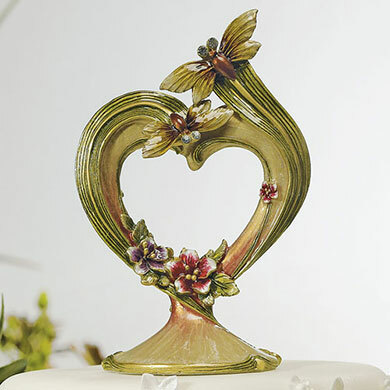 Dragonflies are adorned with jewels and featured alongside pretty vines and flowers melded into the shape of a heart. • Masterfully crafted of poly resin with hand painting. Masterfully crafted of poly resin with hand painting.